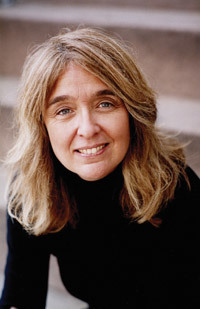 Ann Hood is the author of the bestselling novels, Somewhere off the Coast of Maine (1998), The Red Thread (2010), and The Knitting Circle (2007). Her memoir, Comfort: A Journey Through Grief (2008), is a New York Times Editor’s Choice and chosen as one of the top ten non-fiction books of 2008 by Entertainment Weekly. She won two Pushcart Prizes, as well as writing awards for food, travel, and spirituality. A regular contributor to the New York Times, Hood’s short stories and essays have appeared in many publications, including Ploughshares, Tin House, Traveler, Bon Appetit, O, More, The Paris Review, and others. Her new novel, The Obituary Writer (2013), is an O Magazine Pick, an Indie Bound selection, a book club selection for Ladies Home Journal, and chosen as one of the top ten novels of 2013 by Amazon.com. She recently edited the anthology, Knitting Yarns: Writers Writing About Knitting (2013), featuring original essays by Barbara Kingsolver, Anita Shreve, Elizabeth Berg, Sue Grafton, Andre Dubus III, and many others. She lives in Providence, RI with her husband and two children.